The Royal Wedding of Prince Harry and Meghan Markle took place last Saturday. 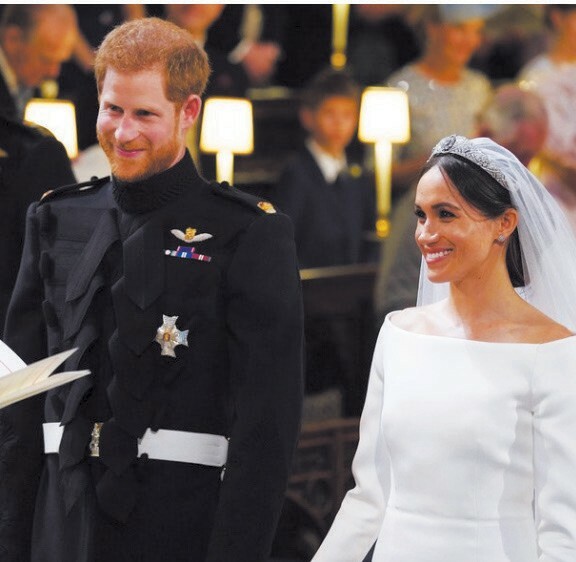 The thousands of people who were in Windsor in person – plus the millions of viewers who tuned in around the world – were left melting at the couple’s adoring relationship. On March 15, the Queen gave her formal blessing to Prince Harry and Meghan Markle’s marriage. Meghan and Harry’s gorgeous wedding ceremony took place at St. George’s Chapel at Windsor Castle. After walking down the aisle with her bridesmaids, page boys, and later Prince Charles, Meghan met her groom at the altar of St. George’s Chapel. Following the sermon, the bride and groom said their vows and exchanged rings. Immediately following the exchange of vows, Prince Harry and Meghan Markle took a carriage ride through Windsor. More than 100,000 people turned out in Windsor to greet the newlyweds as they made their way through the town after the ceremony. Harry and Meghan’s wedding was televised and live streamed around the world. If you missed it, you can watch the live stream from the Royal Family’s official YouTube account. Really interesting keep writing more articles about wedding.